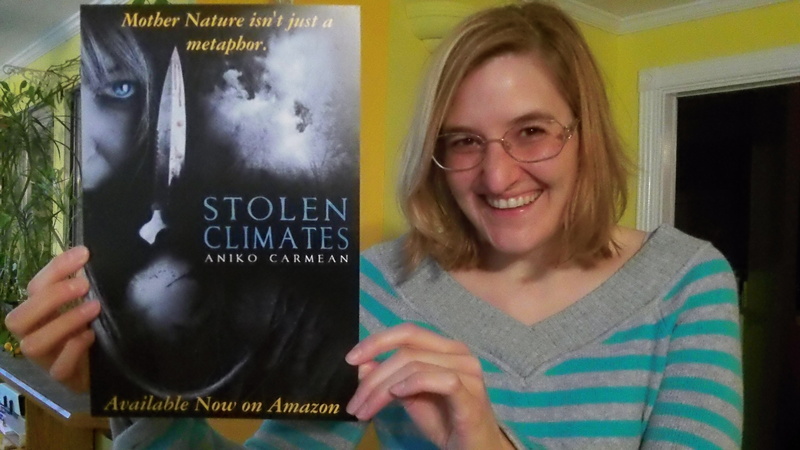 Stolen Climates ~ Available Now! Stolen Climates is chock full of horrific goodies: carnivorous vines, human sacrifice, small-town secrets, and plenty of reasons to shut your windows, draw your shades, and hope for some good weather. Where else can you get a story about an ax-toting mom, a renegade goddess, and a girl who hears what the trees are saying? All that and an excellent recipe for breakfast tacos, Breaker Texas style! Stolen Climates is an Amazon exclusive. For only $2.99, you’ll get the scares, the gross outs, the truth about climate change, and a free trip to the orchard for the infamous Treeletting Ceremony! 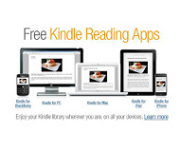 Amazon Prime members read free! Click here for the official description and preview trailer. Click here to join Team Aniko! Decisions are like coffee: they come in a variety of sizes, are frequently encountered at crossroads, and are as bitter or sweet as you make them. Like coffee, decisions can be recognized by their side-effects. Do you feel nervous? Manic? Like you’re just moments away from needing the rest room? Chances are, you’re either faced with making a choice or have just finished choosing. Decisions can sneak up on you. Sometimes they creep in on the cat’s paws of inevitable, almost unnoticeable change. Sometimes they rush at you, crashing down like the piece of plane in Donnie Darko. You might be tempted to think you can outsmart a decision. You can’t, though, because even refusing to make a decision is in itself a decision. Unlike coffee, you can’t quit decisions. Sometimes, you make a decision that you need to reverse later; this can come with a helping of humility, because you may be forced to admit you were wrong. Occasionally, you make a decision that cannot be reversed and you regret it. To have or not to have children. To put your money in a speculative stock or not to put your money there. To act out of love or to act out of self-interest. The really hard decisions come with consequences. This goes at least double, if not triple, for decisions regarding your immortal soul or karma. Most decisions aren’t really that big, not in a cosmic sense, but they could have financial repercussions. As a species, we spend a lot of time deciding things based upon money. How much will that decision make me? How much will this other decision cost me? Should I get a tank of gas to get to work or food to feed my family? Styron depicts the darkest of decisions in Sophie’s Choice by forcing his character into a situation where she must choose which of her two children will live. One could argue Sophie’s dilemma wasn’t really a decision. It was a torture tactic disguised as a decision. A true decision, the argument goes, will always have Option C: do nothing and let things play out without you ever making a move one way or the other. Semantics couldn’t help Sophie, and certainly didn’t spare her the agony of deciding. Most decisions aren’t that vast, that awful, or that cruel. Thankfully. Framed this way, I feel that decisions aren’t at all like coffee. To be that blithe and brash would be to act as if there were no true darkness. There is darkness, though, and we are continually faced with choices that could plunge us farther into the dark, or lead us from it. No, decisions aren’t like coffee. They are like rope. We can use them to hang ourselves or we can use them to pull ourselves to freedom. Sometimes monstrous people will use that rope to harm you. How, then, can we make decisions? Excluding the insurmountable and horrific category of decision à la Sophie’s Choice, how do we pick amongst our options? The danger of analysis paralysis, or spending too much time thinking about the pros and cons of any choice, can set in and force you into Option C. The danger of jumping in unprepared is often the road to regret. The most that you can do is make the best choice you can with the information you have at the time. 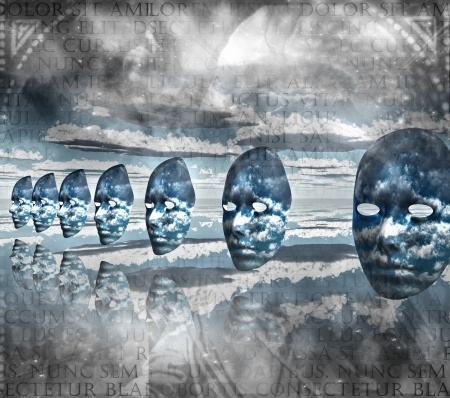 Get your facts, vibes, or Tarot cards and then -right or wrong – make your decision. Don’t wait for one to be made for you unless you’re comfortable with relinquishing ownership of your life. People might try to waylay you, for various reasons and often out of a sense of helping you. The important thing is to apply your core values and principles to your decision; if you do that, then you will be confident you are choosing what is right for you and your situation. For me, when I make a decision, there are only two essential items I Must Always Consider. First, I think of my marriage and how my decision will impact Mr. Aniko. Second, I think of how the decision will impact my writing. Other factors are relevant and considered, but they are secondary. If a choice will negatively impact either my marriage or my writing, I make a different choice. It’s really quite simple. Except, of course, when the decision is going to be good for my marriage and bad for my writing or vice versa. Luckily, though, each is mutually supportive of the other. I am happier and less anxious when I write, which is good for my marriage. I write better when I’ve been able to spend quality time with Mr. Aniko, which is good for my writing. It’s true, I take my coffee with milk and honey. What about you? What informs your decisions? Who throws you a lifeline when you’re stuck? Buzy Buzy Bee is a ticket redemption arcade game. The objective is to use your net to scoop as many buzzing bees into a honey pot as you can before the time is up. The number of bees successfully scooped into the pot determines the number of tickets you receive at the game’s conclusion. Is it fun? Yes! And, for those of you who are skeptical that these tickets can be redeemed for anything wonderful, rest assured they can! At my local arcade, enough tickets will buy you a pen shaped like an astronaut! The pen comes out of his jet pack, so it’s not as lewd as what you (may have) pictured. This past weekend, Mr. Aniko and I went on a date. We hit the arcade to work up an appetite before visiting our favorite restaurant (cheddar + jalapeno waffles!). Of the two of us, Mr. Aniko is the gamer. I expect and am not disappointed to lag behind utterly in Galaga*, pinball, or anything involving shooting or driving. Watch as much as I might, I do not have the hand-eye coordination to replicate his success. Buzy Buzy Bee is different, though, seeming less about any sort of precise skill than just mad determination. Instead of a myriad of flippers, buttons, or joystick, there is one handle that moves the net in a very limited range of motion. I might not be able to keep a pinball out of the drink or kill all the bugs in the Galaga challenge round, but I was certain I stood a chance at being Buzy Bee victor. Then we got our Buzy Buzy Bee on, me going first. Mr. Aniko proceeded to kill my first score! I didn’t even have to look at the digital display to know that, either; whenever a bee goes into the honey pot, the machine goes “baa-baba!” When you hear it going “Baabababababa…” you pretty much know that the entire hive is taking the HOV lane to Honey Potsville. Did I settle for a ‘stinging’ defeat? Hell, no! Instead, I turned up my observation and discovered something fascinating: Mr. Aniko was not looking at the bees at all! Instead, he was watching the honey pot and using the net to create a draft that would push the bees in the direction of the goal. This technique did occasionally net several bees at a time, and these were dispatched to the pot, but gathering bees in the net was not Mr. Aniko’s primary focus. Instead of trying to concentrate on one particular bee, which is impossible with them moving around unpredictably in the random bursts of air, he was using the core-nature of the environment itself to get bees into the pot. This was different than my approach in every way. While he paid only secondary attention to the bees in the net, I concentrated solely on trying to pick up individual bees and transport them, one at a time in the net. Sure enough, when I switched to the fanning-waving approach rather than the snag-one-bee-at-a-time approach, my score went up. It didn’t get as high as Mr. Aniko’s best – which netted us another fifty tickets towards my spaceman pen! – but I improved. As I stood watching him fan yet another wave of unsuspecting bees into the pot, I realized that my Buzy Buzy Bee epiphany could be applied to writing. My mistake in the game was to try and control the outcome of an individual item in the entire nexus of details: trying to net one unique bee out of the entire, buzzing hive. In writing, this is the equivalent of trying to force a story to a particular conclusion. This is what happens when you have one scene you are determined to get to and you write in that direction without wavering. If you’re a writer, you’ve done it. If you’re an honest writer, you know that results in a story that feels inauthentic and, well, forced. One solution is to write as if you are casting a very wide net that is available to catch whatever comes, regardless if it is what you expected. In Buzy Buzy Bee, this is the breeze that entices your quarry into the pot without you even having to put them in the net first. In writing, this is the first draft – or should be. Your characters and their situations should surprise you; maybe they’ll do things you’ll have to cut from subsequent drafts, but isn’t it interesting to know their thoughts on vegetarianism, anyhow? When you use the environment and permit the story to grow organically from itself, you allow for surprising nuances. Creativity isn’t about forcing an outcome. It’s about opening to the possibility of a transcendent truth you could not have built out of pure logic or planning. * Mr. Aniko hold high-score at our arcade. I was going to post a picture. But I couldn’t figure out how to turn off the flash on my camera AND if I posted a picture, his top-secret identity would be blown!